Today an important new book is being released in the United States and Canada. Macrowikinomics: Rebooting Business and the World, written by Don Tapscott and Anthony D. Williams is the sequel to their best selling work Wikinomics. The Economist says Macrowikinomics is "a Schumpeterian story of creative Destruction." Mark Parker CEO of Nike calls it, "A masterpiece. An iconic and defining book for our time." Google CEO Eric Schmidt says the book, "inspires, pointing the way forward for all of us." 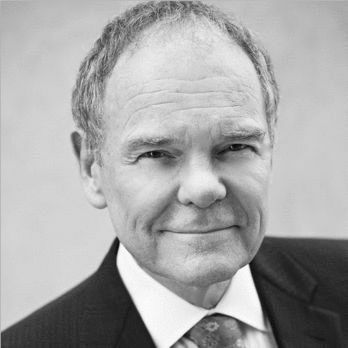 Tapscott, author of 14 widely read books about technology in business and society teamed up with Williams a few years ago and the result -- Wikinomics -- was the best selling management book in the United States in 2007. Macrowikinomics offers nothing less than a game plan for all of us to fix a broken world. Drawing on an entirely new set of original research conducted with countless collaborators the authors explain how the world's most dynamic innovators are using the Internet and new business models to transform industries ranging from manufacturing and transportation to global problem solving. Technology, Health and the Environment are three axes of transformation, each inextricably intertwined. They argue that this is a time of peril as old approaches collapse, but a time of great promise and opportunity as we stand on the threshold of a new age. Now the onus is now on each person to lead the transformation in our workplaces and communities. At the same time the contours of a new kind of civilization are becoming clear as millions of connected citizens begin to forge alternative institutions using the Web as a platform for innovation and value creation. From education and science and to new approaches to citizen engagement and democracy, powerful new initiatives are underway, embracing a new set of principles for the 21st century -- collaboration, openness, sharing, interdependence and integrity. Indeed, with the proliferation of social media and social networks, we believe society has at its disposal the most powerful platform ever for bringing together the people, skills and knowledge we need to ensure growth, social development and a just and sustainable world. Of course, the sparkling possibilities described above contrast sharply with the stagnation and inertia that grips so many contemporary institutions. The harsh reality is that it will take years and probably decades to undo some the damage done by misguided policies and approaches. When the economy crashed in 2008, for example, it cost American taxpayers trillions of dollars. Faced with a historic market meltdown, the worst recession in three generations, plus government guarantees that exceed the cost of every war the U.S. has ever fought, American taxpayers are understandably still furious. It is pretty much the same story around the world. Many people are reviving calls for updated regulations, more government intervention and even the breakup or nationalization of the big banks. In the meantime, the lingering effects of the financial meltdown threaten to engulf not just companies but entire countries in a sovereign debt crisis. Greece, Spain, and Portugal may have rocked the financial markets, but the U.S. arguably looms largest, with Congress contemplating a budget that by 2020 would nearly double America's national debt, to $22 trillion -- twice the size of the U.S. economy. Clearly we need to rethink the old approaches to governing the global economy. But rebuilding public finances and restoring long-term confidence in the financial services industry will require more than government intervention and new rules; it's becoming clearer that what's needed is a new modus operandi based on new principles like transparency, integrity and collaboration. Clearly the financial system is not the only institution that's in desperate need of a makeover. A string of recent events suggests that many of the institutions that have served us well for decades -- even centuries -- are frozen and unable to move forward. The failure to reach a meaningful agreement on climate change in Copenhagen has further undermined confidence in the ability of international institutions to provide effective leadership in dealing with a growing list of global challenges. The disastrous oil spill in the Gulf of Mexico provided yet another reminder that the world is grossly under-investing in green energy alternatives that could at last break our perilous addiction to fossil fuels. And despite Obama's historic reforms, the government's own projections suggest that the world's richest nation will still struggle to rein-in the spiraling health care costs that threaten to cripple government budgets in the years to come. Sure, one could argue that the industrial economy and industrial-age institutions brought us centuries of unprecedented productivity, knowledge accumulation and innovation that resulted in undreamt-of wealth and prosperity. But that prosperity has come at a cost to society and the planet and it is clear that the wealth and security enjoyed in advanced economies may not be sustainable as billions of citizens in emerging markets aspire to join the global middle class. Indeed, as the world's main economic engines continue to sputter, there is growing consensus that we are finally entering a very different kind of economy. Economist Robert Reich asks, "What will it look like? Nobody knows. All we know is the current economy can't 'recover' because it can't go back to where it was before the crash." Is there a way forward? We think so. But don't look to big government or big corporations to supply the answers. The most promising catalysts for reinvention today can be found in a powerful new form of economic and social innovation that is sweeping across all sectors and turning the old models on their head. After all, political leaders may have failed in Copenhagen, but ordinary people everywhere are connecting to create a mass movement that is bringing greater awareness and sense of community to the process of making household and business decisions that can reduce our carbon footprints. Carbonrally.org is a good example. Some 40,000 environmental enthusiasts propose great ideas for saving energy and reducing emissions and the community chooses the best ideas to pursue as a team. Carbonrally tracks the collective impacts and shows the power of many people getting the job done together. On PatientsLikeMe.com, one of the Web's most vibrant health care communities, some 60,000 members believe that sharing their health care experiences and outcomes is good, and perhaps even integral, to speeding up the pace of research and fixing a broken health care system. Why? Because when patients share real-world data, collaboration on a global scale becomes possible. The health care system becomes more open and this in turn improves outcomes for patients, doctors and drug makers. New treatments can be evaluated and brought to market more quickly. Patients can learn about what's working for other patients like them and, in consultation with their doctors, make adjustments to their own treatment plans. All considered, communities such as PatientsLikeMe are leading the way toward a health care system that is cheaper, safer and better than what we have today. Even governments are taking baby steps toward using the Web to generate more productive, transparent and equitable public services. Indeed, where most governments build mainframes and buy expensive software, U.S. federal Chief Information Officer Vivek Kundra is encouraging federal agencies to use free Google services and open-source wikis for everything from word processing to performance measurement, to service improvement. He calls it the government cloud, but think "app store for government" -- a place where employees can access a vast ecosystem of secure applications and data sets for doing their jobs. Put it all together and it becomes increasingly clear that we can rethink and rebuild many industries and sectors of society around the principles of wikinomics. Indeed, we're convinced that the world now has nothing less than an historic choice: reboot the old models, approaches and structures or risk institutional paralysis or even collapse. It's a question of stagnation versus renewal. Atrophy versus renaissance. Peril versus promise. Fortunately, for the first time in history, people everywhere can participate fully in creating a sustainable future. This is not just a theory -- it's happening. Adapted from MACROWIKINOMICS: REBOOTING BUSINESS AND THE WORLD by Don Tapscott and Anthony D. Williams by arrangement with Portfolio, a member of Penguin Group (USA), Inc., Copyright (c) Don Tapscott and Anthony D. Williams, 2010.